Q: What is a Skilled Nursing Facility? A: A skilled nursing facility is considered a health care facility and is allowed to provide services that cannot be dispensed in assisted living or residential care homes. These services range from managing medical problems such as wound care and IV Therapy to hospice and coma care and provide assistance for those who are unable to do normal daily activities on their own. Q: How are Nursing Facilities Regulated? Q: What is Custodial Care? A: Custodial care is a term for care provided to patients on an on-going basis, as in daily maintenance. 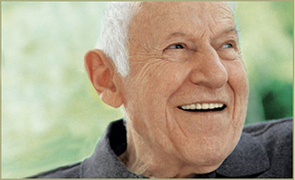 The patient, or resident, receives assistance with daily living activities while under custodial care. The majority of care in nursing facilities is custodial care. A: Habilitation is the act of imparting an ability. At El Encanto we habilitate developmentally disabled adults by teaching them to perform daily living skills they have not yet learned. Q: What is the Difference Between Habilitation and Rehabilitation? A: Rehabilitation is relearning a skill, such as going through physical therapy to learn to walk again after an accident. Habilitation is learning a skill you never had. Click here for more FAQs about El Encanto Healthcare.